Grantland Acres Subdivision is in the Central area of Tucson. Homes in Grantland Acres Subdivision are near the Banner – University Medical Center. And Tucson Medical Center is minutes away. Also, Condos and Townhouses in the Central Area are popular for both students at the University of Arizona and those looking for an urban living experience. U of A is a short drive from Grantland Acres Subdivision. There is a wide range of home choices available in the Grantland Acres Subdivision and Central area. And if you are looking for a Mid-Century Modern Home the Grantland Acres Subdivision might be the place. 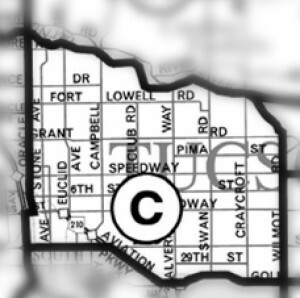 Families living in Grantland Acres Subdivision are served by the Tucson Unified School District, or TUSD. Restaurants to visit if you live in the Grantland Acres Subdivision or another Central area location are Reilly Craft Pizza and The Cup. Considering A Home In the Grantland Acres Subdivision? Are you thinking of buying a home in the Grantland Acres Subdivision or another area of Tucson? Finding the right home or Condo can be a challenging process. But we can make the process much less stressful for you. Thinking about selling a home in the Grantland Acres Subdivision?